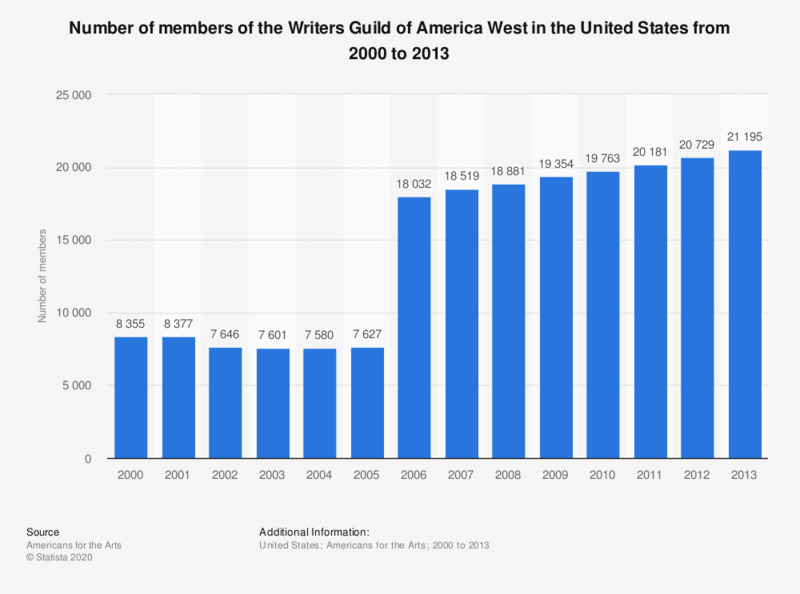 This statistic shows the number of members of the Writers Guild of America West in the United States from 2000 to 2013. In 2013, there were 21,195 members of the Writers Guild of America West. Writers Guild of America, West (WGAW) is a labor union representing writers of television and film and employees of television and radio news. The Writers Guild of America, West is affiliated with the Writers Guild of America, East.